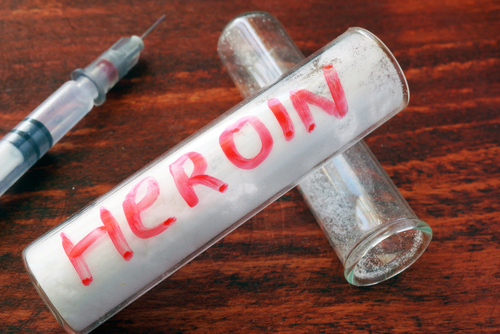 Heroin is highly addictive, affecting a person’s psychological and physical wellbeing. Addictive the first time a person uses heroin, the drug can create dependence in the body with severe withdrawal symptoms possible. Quitting heroin is not recommended cold turkey for this reason as it can be difficult and even unsafe. Find out what it means to quit heroin cold turkey and what to expect. A person does not have to quit heroin cold turkey to stop using heroin. Quitting cold turkey can cause serious and quite severe withdrawal symptoms including restlessness, vomiting, muscle and bone aches along with diarrhea, insomnia and cold flashes. Cold turkey can increase chances of relapse just to mitigate symptoms of withdrawal. Doctors can prescribe tapering regimens or replacement therapies, among others, which can lower the dosage of opiates in the system over time. Withdrawal symptoms in this case can be mitigated during recovery. Heroin withdrawal symptoms may last a week after the last dose of opiates. If the dose is tapered, symptoms may be less severe, intense and quicker to resolve. Medical professionals recommend tapering off the use of medication assisted treatment drugs over a course of weeks, under the supervision of a medical doctor. Monitoring progress is key to keeping withdrawal symptoms minimal in recovery. Working with a medical doctor and professional addiction support people can help a person quit heroin who wants to get off the drug for good. Quitting cold turkey has a higher relapse rate than other ways of getting off the drug. It is important to find help from professionals who can provide the right support and guide the process in a healthy way that will help maintain recovery for a long time to come. If you are wrestling with the best way to quit using heroin or other drugs, call Hired Power. We have compassionate, professional staff and programs dedicated to your recovery. You are not alone. Call us to get started at 714-559-3919.